"We will force the rock to understand..." those words jumped right out at me. I was standing in the Yasser Arafat Museum in Ramallah looking at a display of images. The phrase was a translation of a verse written in Arabic by Rashid Hussein. It struck me as a metaphor for the resilience and courage of the Palestinian people, against a legacy of British colonialism and its consequences; the superior might of the present day Israeli state; and, the outrageous indifference of the international community, especially in the West for the humanitarian and political crisis in Palestine. By the time of my visit to Ramallah in the West Bank last week 45 unarmed protestors had been shot dead by the Israeli military on the Gaza border, while hundreds of others have been maimed and left with devastating injuries. More killings and other casualties have occurred since then. For seven consecutive weeks, protests have been taking place at the Gazan border to coincide with the 70th anniversary of the Nakba, when hundreds of thousands of Palestinians were forced from their homes by Israeli forces. The crisis in Palestine is deepening every day. Gaza is the most densely populated place on earth per capita. It is effectively an open air prison. The Israeli blockade of that region is having a devastating effect upon people’s living conditions. There is now only four hours of electricity available per household. Ninety per cent of the water supply is contaminated. There is not sufficient power to pump available water to the huge number of citizens who live in high-rise accommodation which proliferate throughout Gaza city. The decision of the United States (US) administration to relocate its Israeli embassy to Jerusalem has had a further destabilising impact in that already volatile city. The imposition of the Israeli settlement policy across the West Bank represents a systematic land grab and theft of natural resources which is undermining the geographic and political integrity of the Palestinian Authority, and its already systemically weak economic base. In effect the West Bank is being cantonised with the relentless expansion of Israeli settlements. The infamous apartheid wall there, and use of arbitrary arrests and detention without trial are particularly graphic examples of the repression which exists. Over 400 children are currently in prison out of a population of approximately 6,500 Palestinian political prisoners. Overall economic activity in Gaza and the West Bank is diminishing, and unemployment rates are escalating. In the period 2016/’17 unemployment in Palestine (combining Gaza and West Bank) was 27% and rising. Currently, in Gaza alone, 80% of young graduates are unemployed. The United Nations Relief and Works Agency (UNRWA) has been performing a vitally important role supporting hospitals and schools and other relief work, alongside others, including the Irish Government mission in Palestine. Thirty nine per cent of all Palestinians in Gaza and the West Bank are under 15 years-old. The reduction of US funding to UNRWA will be disastrous for its humanitarian relief work. Meanwhile the international community's failure to robustly intervene, especially regarding the weekly killings on the Gaza border is scandalous. Previously adopted United Nations (UN) resolutions are being routinely ignored and violated. Palestine is enduring an existential catastrophe on a massive scale. There is a need for a new collective international initiative to hold Israel properly to account and end the war against the Palestinian people. Ashraf Suliman is South Africa's Ambassador to Palestine, and a veteran of the African National Congress struggle against apartheid, now with 25 years of diplomatic experience. He summed up the situation in Palestine very starkly by telling me that the apartheid policies being used against Palestinians were far worse than anything experienced in South Africa. 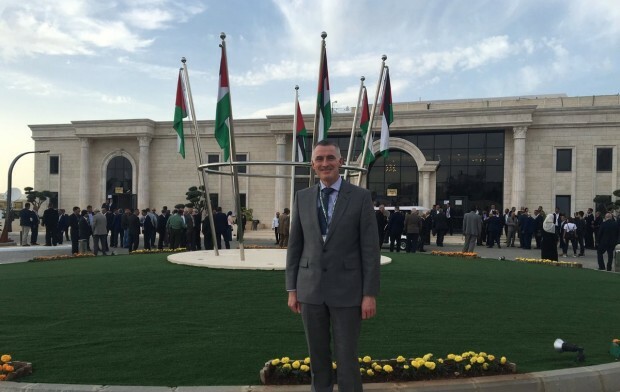 I travelled to the West Bank almost two weeks ago at the invitation of the Palestine Liberation Organisation (PLO) to represent the Sinn Féin leadership at the 23rd Palestinian National Council (PNC). 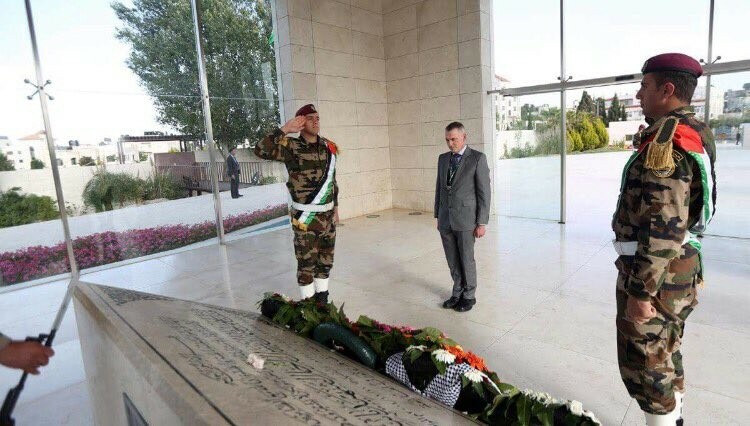 It was an honour to be requested by the PLO leadership to lay a wreath on behalf of Ireland during an official ceremony at Yasser Arafat’s mausoleum prior to the first session of the PNC. Immediately afterwards, I and other international delegates were given a tour of the Yasser Arafat Museum which is built upon the site of President Arafat's compound at the time of the Israeli military siege in 2002. His offices above and below ground during the siege have been preserved. While in Ramallah I also met many Palestinian leaders and activists, including the family of the young Palestinian female prisoner Ahed Tamimi: as well as other senior figures such as Nabil Shaath, Mustafa Barghouti, and Qais Abdul-Karim, among others. 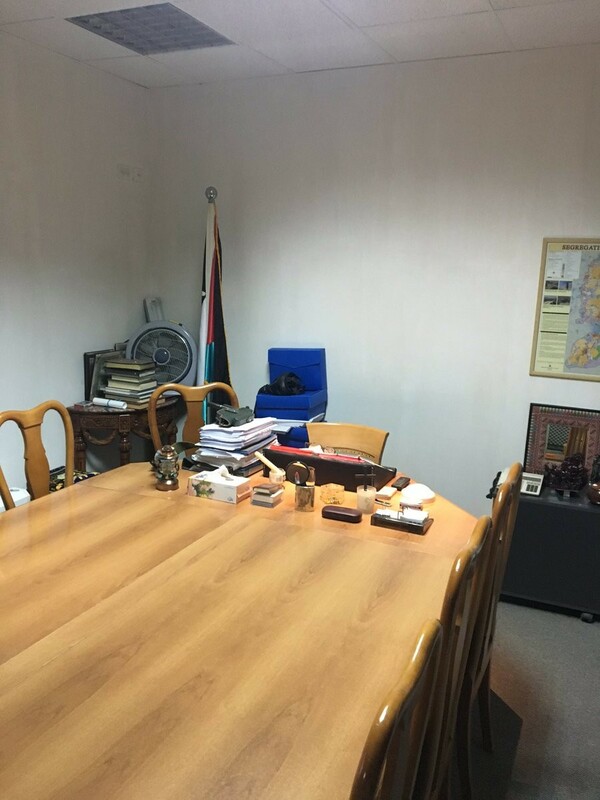 Our Party recognises the PLO as the leadership authority of the Palestinian people. We have maintained fraternal relations with the PLO for many decades. Sinn Féin believes that Palestinian national unity is an essential strategic position. 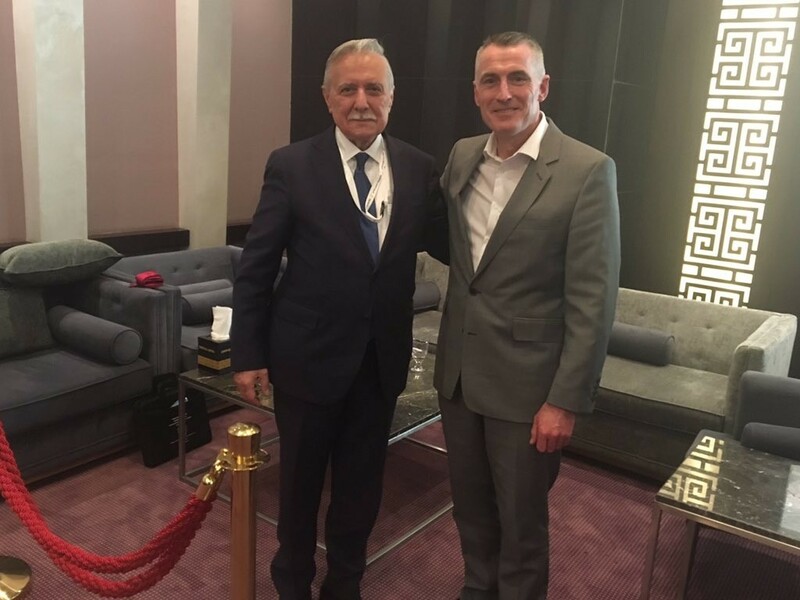 We are committed to helping develop that by sharing our experience of both the Irish peace process, and our Party’s approach to strategy and democratic politics with all Palestinian political forces. Political disunity among Palestinians is a major obstacle to advancing the national and democratic right of the Palestinian people to a free and peaceful homeland. During my speech to the PNC I emphasised the importance of internal political unity and cohesion within the Palestinian struggle. While no two liberation struggles are ever the same, there are still similarities between Ireland and Palestine, and experiences to be shared. I pointed out that we could not, and cannot wish away those forces opposed to democratic change and Irish unity: and indeed which now pose the greatest threat to the Good Friday Agreement since it was signed in 1998. Political strategy, leadership, internal political unity and cohesion have been central to Sinn Féin's progress. Similarly, Palestinians cannot and will not wish away the Israeli occupation. The PLO carries an onerous responsibility to provide the leadership, strategy, and political direction to end the occupation. I also told the PNC that Irish republicanism has a history of splits and divisions; of old comrades falling out with each other, and sometimes even killing one another. Inevitably when these things happened, the opponents of Irish unity were always winning. The truism of divide and conquer is as applicable to Palestine as it is in Ireland. For that reason Sinn Féin made political unity and internal cohesion central to our political strategy. Nelson Mandela told us many years ago that the most important negotiation is always within your own base. So we have invested heavily in the process of internal negotiation to maximise common ground and agreement on shared national objectives. Of course that has not always been easy. There can be uncomfortable debates. In Ireland unanimous agreement has not always been possible. But the reward in maximising internal unity and agreement on political strategy has always justified the effort. The struggle for justice, democracy, peace and reconciliation is always bigger than individual personalities or groups. My message encouraging national unity among all Palestinian political forces, and agreement on key strategic, political positions was well received. I was not surprised. It became obvious that is the widely held view of popular Palestinian opinion in both Gaza and the West Bank. At an international seminar held before the PNC began, two extremely significant panel discussions took place under the theme of 'Palestine's Peace'. These dealt with the Oslo process, the role of the UN and international institutions, and popular resistance, boycott, and Palestinian prisoners. Senior Palestinian figures said unambiguously that the Oslo process is now dead, and that the international community has abjectly failed the Palestinian people. They noted that the past reliance upon armed struggle, negotiations (as defined by the parameters and failure of the Oslo Accords), and international influence to date, have all had their day. The Palestinian struggle is now moving rapidly towards adopting new strategic options based upon popular resistance and the enforcement of international law. A new strategic direction is indeed urgently required. However, the success of that step change will depend upon achieving the strategic condition of national unity among all political forces. That is what's needed to bring renewed impetus to the Palestinian cause domestically and internationally, lift the morale of the people, and build a new political momentum. At the same time there is an imperative to maximise international solidarity for Palestine. Popular resistance against the apartheid being practised against the people of Gaza and the West Bank needs to be buttressed by international action which matches the effectiveness of the global consensus of opposition against apartheid in South Africa. What is happening in Palestine asks questions of us all about the type of world we want to inhabit. Sinn Féin has a consistent position of opposition to all forms of bigotry and intolerance, including anti-semitism, racism, homophobia and religious sectarianism; as well as a consistent record in support of democratic, just and durable political settlement for both Palestinians and Israelis. The actions of the Israeli state in Palestine are the complete antithesis of all international democratically accepted norms. To acquiesce in the face of apartheid in Palestine is to accept a world order which tolerates such injustice. The oppression of the Palestinian people diminishes us all as citizens of the world. 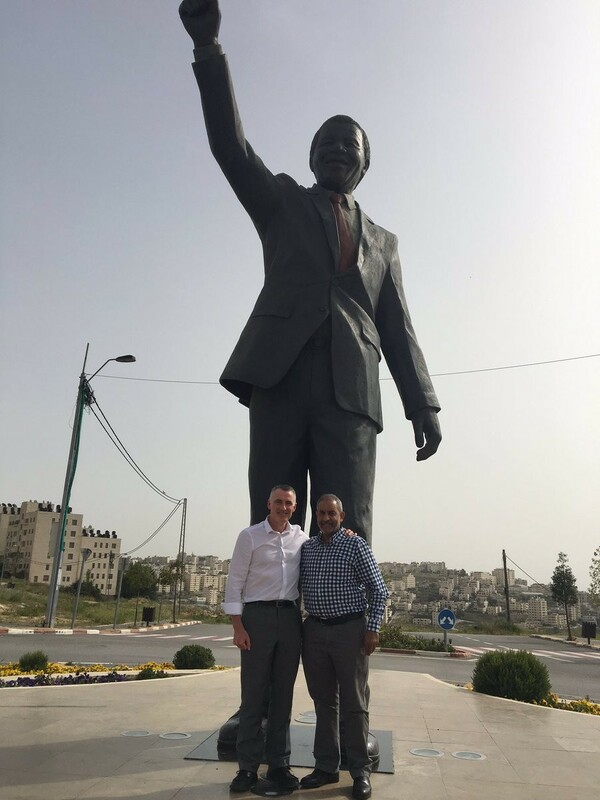 On the last day of my visit, Ashraf Suliman took me to visit Nelson Mandela Square in Ramallah. The centre piece is an imposing statue of Mandela and a fine tribute to that iconic, champion of global justice. 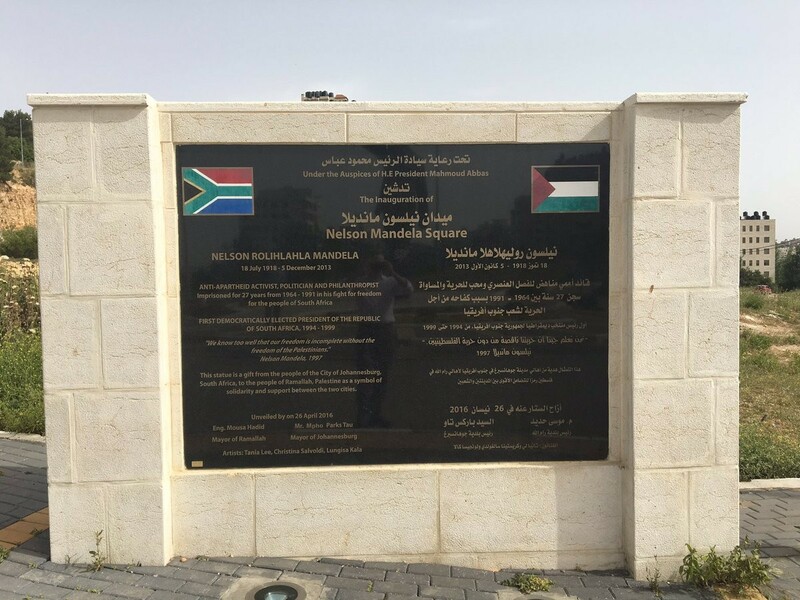 It is a gift from the people of Johannesburg to the people of Ramallah in 2016 as a symbol of solidarity between the two cities. It seemed really apposite that one place which has achieved its freedom would make such a powerful gesture of solidarity to another place being denied its freedom.